The Missing Link has signed a reseller deal with US-headquartered Nozomi Networks for its cyber security and operational visibility for industrial control systems (ICS) solutions. Under the agreement, the service provider will offer Nozomi's solutions focused on critical infrastructure, energy, manufacturing, mining and transport in Australia and New Zealand. Nozomi Networks solutions support hundreds of thousands of devices in more than 500 installations, according to the vendor. “Malicious individuals or groups, including state actors, are increasingly targeting ICS in manufacturing and critical infrastructure to disrupt operations or extort money from businesses,” said Aaron Bailey, CISO at The Missing Link. “More and more customers in these sectors are asking us to help secure their systems." “To meet these requests, we decided to partner with a proven vendor with deep expertise in industrial network cyber security. "We completed a comprehensive market review and selected Nozomi Networks due to the technical excellence of its products, its investments and expansion in this region, and its partnerships with other vendors we work with." Nozomi was established in 2013 and has offices in eight countries including one in Sydney. “By aligning itself with the right vendors and hiring top-calibre people, The Missing Link has built a tremendous brand in A/NZ,” said Nick Borsky, APAC director at Nozomi Networks. “This partnership is very exciting for Nozomi Networks and businesses in Australia and New Zealand. "Customers will gain access to the leading solution for OT [operation technology] and ICS visibility and security, and the assurance of delivery through one of the most respected and able partners in A/NZ." In April, The Missing Link launched its first dedicated security operations centre (SOC), located at its Sydney office. The $250,000 investment, paid out in operating cash, counted on the technology support from six vendors at the time of the launch -- Allienvault, Carbon Black, FireEye, Fortinet, Tenable and Zscaler. 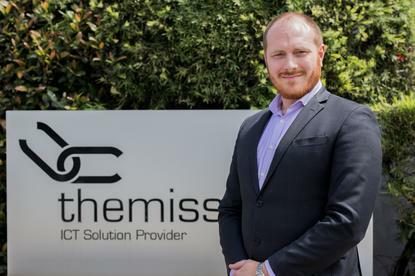 The move was a result of the growth in clients and a growth in the interest for The Missing Link's managed security service provider (MSSP) offering with clients increasingly asking the company for a physical SOC. The facility has multifactor authentication with biometrics to enter the room and the equipment is securely connected to tools and solutions in a smart cloud environment.